Thank you for the warm and gentle expressions of care after last Sunday's post - both here and on social media. Fact is, after 4½ years of single-handedly designing, stitching, writing patterns and publishing The Stitchery Club for 52 continuous months I fell into a mentally and physically exhausted heap last Friday and since then my legs have felt like jelly, every ounce of adrenaline is gone and 'gently pottering around' very well describes my day to day actions. It was a huge commitment, a joyous commitment, and through that hard work we were able to save hard for a home deposit and eventually buy our first home in September last year. We now have a mortgage, rates and insurance to pay like most home owners, but we don't mind...because we have a home of our own. Work always brings reward and this was mine. # Patterns are not going into my Etsy Shop as quickly as I had previously written but they do trickle in as I have time. # The Rewind Stitchery Club will still happen but it will also be delayed until mid-February. 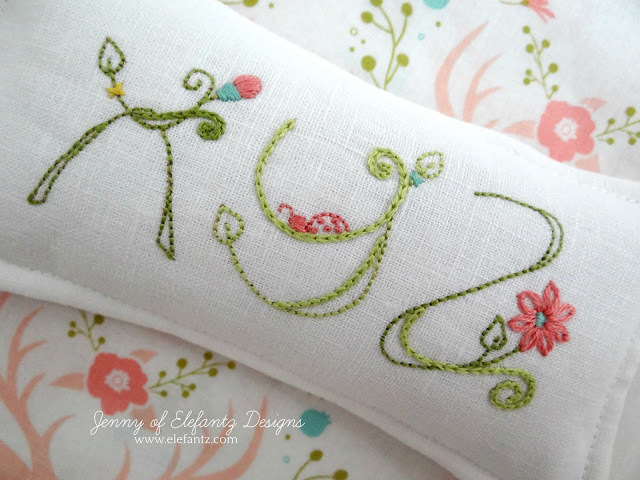 # Faith Sewing Club will be another monthly commitment so I'll hold off on that until perhaps mid-April or May and give myself a slightly longer break before announcing subscriptions. 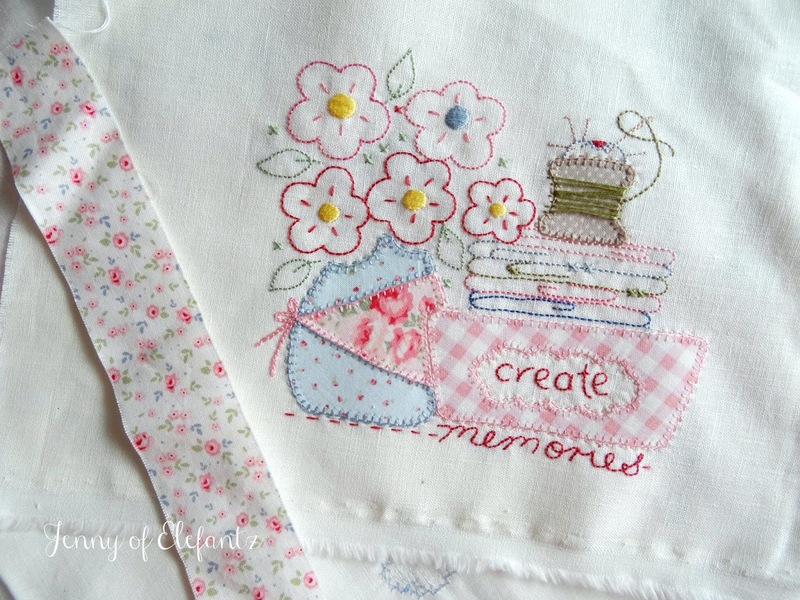 # "Phyllis May's Kitchen" block of the month is still being designed, stitched and enjoyed! This will not be an ordinary BOM...it's quite different, and I can't wait to show you. But for now you'll have to wait while I bring it all together with love and patience. On to this week's alphabet pincushion stitch-a-long! I shared the first one in August last year and since then we've bought a house, moved in, celebrated Christmas and done loads of garden work and renovations outside to turn this house into a sanctuary which reflects my husband and I. That's a lot of life events since sharing the first pinnie, so I decided to share the final three alphabet letters this week in a single design because I want to close off 'the old' in January and begin a fresh clean slate in February. I have seen many designs of various kinds with ABC over the years but can't remember seeing any with XYZ. You can use the individual letters for small projects and monograms, or do what I've done and finish this stitch-a-long with your own XYZ pinnie. 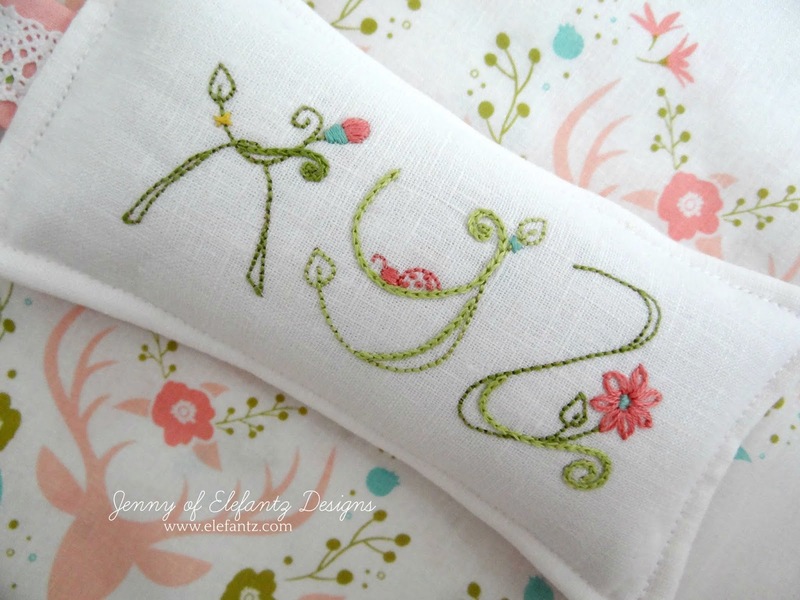 The alphabet letters were stitched onto a white cotton/linen blend fabric, then trimmed and backed with quilting fabric. A little fabric and lace tag was inserted at the X end before I filled the pincushion with crushed walnut shells and machine stitched a 1/4" seam inside the outer edges. I've used two green threads for the main body of the letters. X is stitched with Dark Green, Y in a lighter Green, and Z has a mix of both. I also used both back stitch and chain stitch for the letters. It's small tweaks like this which make simple or relatively plain projects much lovelier to look at. 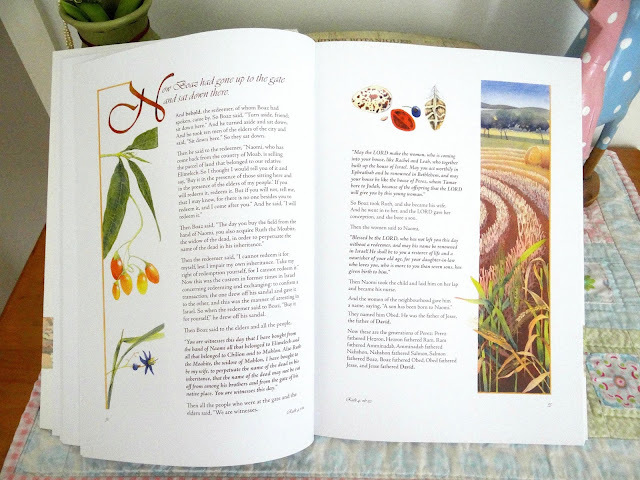 The XYZ patterns are available as a free download here or here until February 8th. Since Christmas I have received some really thoughtful and creative gifts from a few dear friends and thought you may like to see them. Sharmayne and her husband Pete came to visit from further south just before Christmas. They were visiting their son and his family not far from here and popped in for a nice long morning tea with Mr E and I. 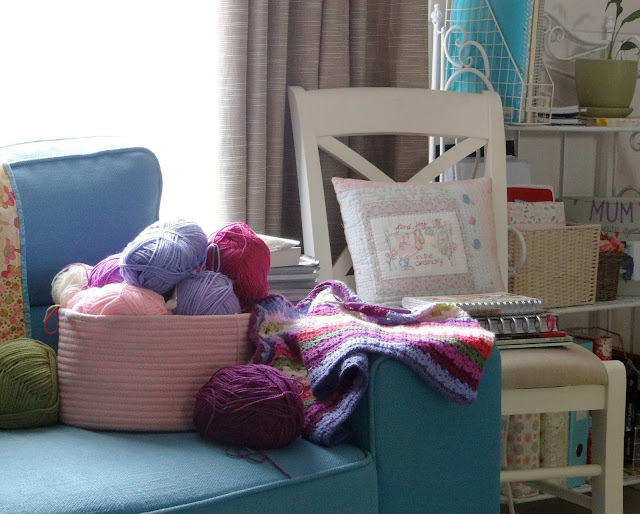 After tucking in to coffee and brownies we left the men to themselves and sat in the sewing room to talk about all sorts of crafty, home and garden things. Rosie and Brian came by for morning tea around New Year and after coffee and scones we left the men to talk 'boy stuff' and sat in the sewing room to talk 'girl stuff' (you can see a pattern here when we have couples visit, right?). 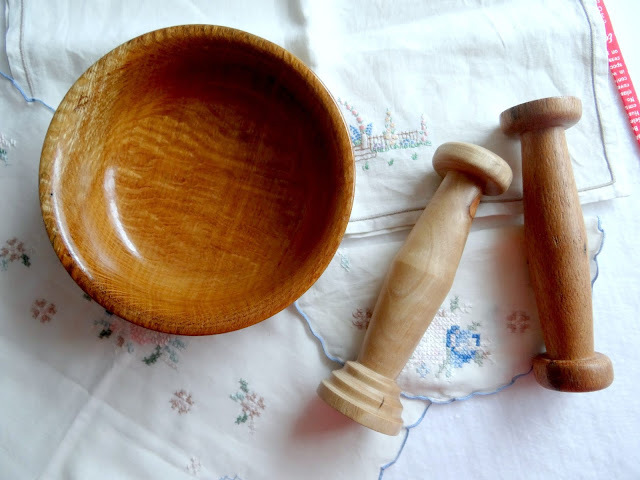 Brian retired last year and is a member of the local Wood Turning Club. Whenever I visit Rosie she shows me the beautiful things Brian has made for her...I ooh and aah a LOT. 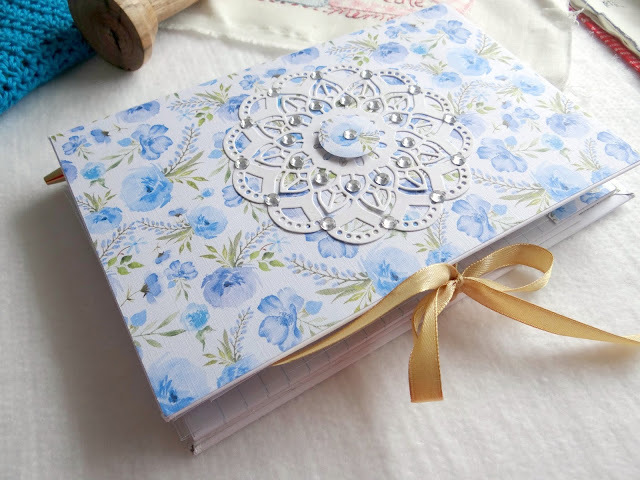 By the way, pop over here to Rosie's blog and see the beautiful recipe folder cover she designed! Another gift arrived in the mail a week or so ago from a dear friend who'd rather not be named on the blog. I'm re-reading Ruth at the moment and find the full page artworks and those which drift down the margins to be not just beautiful, but calming and peaceful as well. The artist is Fiona Pfennigwerth and you can see more pages from "The Scrolls Illuminated" here. 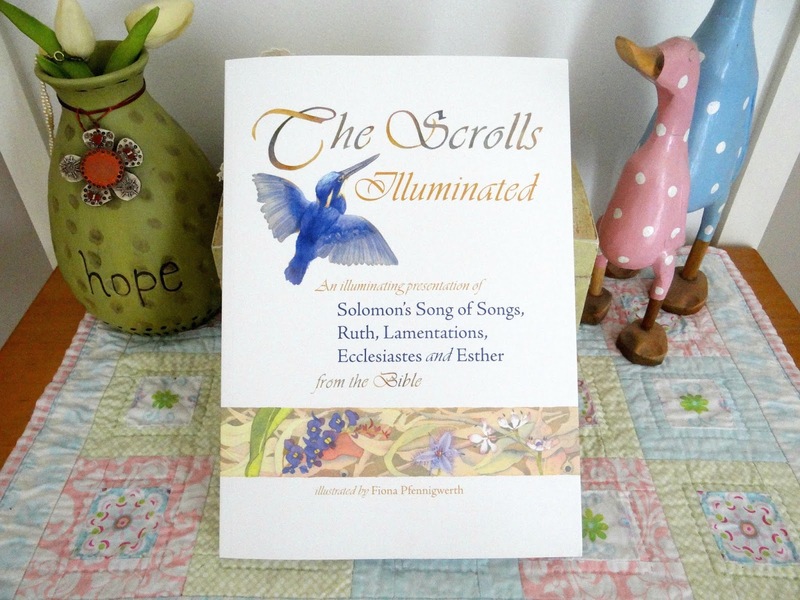 She has also completed The Gospel of John which looks just a lovely. Have you been watching "Tidying Up" by Marie Condo on Netflix? I have heard about her books but honestly, that's as far as it went. But then Blossom began watching Marie's show and insisted I watch too...well, you can always teach me new things about homemaking and I came away from the series with a list of areas to re-organise in new ways. I was at Blossom's yesterday and WOW you should see inside her cupboards! The girls room, the kitchen and the linen cupboards are amazing and my sweet Blossom is a very contented homemaker because like her mummy, she 'loves' organisation. Due to the fatigue I've gone slow this week but did pull out all the furniture and vaccum under, over, in and around everything in our home - before making a start on how to use the Konmari method of tidying in a way that works for us. There's no colour co-ordination happening in our bathroom, just pops of various bright colours and a small palm in a pot. 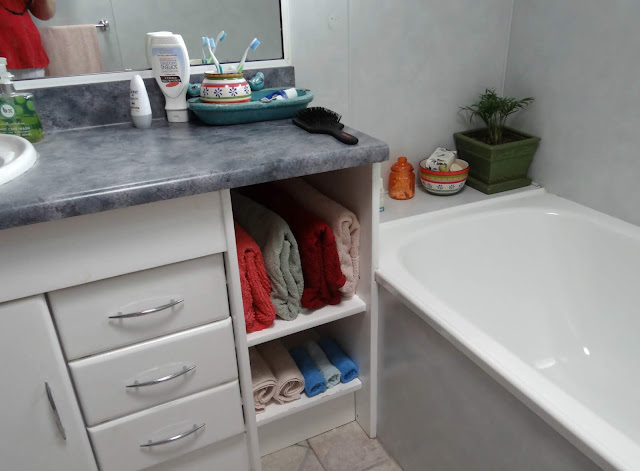 Over time I'll purchase new towels in similar bright colours but not until the current ones are worn out, though I shall look at buying two new bath mats next time there's a sale. So I was 17 rows into my Sweet Pea crochet rug. I'd already gone up 1/2 a size on the crochet hook after the first two rows because apparently I am a tight crocheter (yet a loose knitter, go figure), but the rug still felt 'thick' and not soft and flowing. So I stopped right there and unraveled the lot. Which was a good thing because apart from the heavy texture it turned out I'd gotten the sequence for the Posy version wrong, was only crocheting single colour rows instead of double and had missed a couple of trebles earlier on. I bought a larger hook and started over again. I even followed the pattern this time. 36 rows along and the hook is perfect for how I crochet, the pattern is correct and the rug is wonderfully soft and flowing. I'm happy and relaxed with this project now, plus it's given me a wonderful break from designing and stitching. This is my new hobby! I bought two crochet magazines the other day as a real treat (we're on a budget) and Mr E shook his head and laughed, "Don't you go making me any crochet clothes! Once you get hooked into something new your mind thinks up all sorts of things..."
I promised I won't. LOL! Not sure if I've mentioned this recently but throughout this year I am delving into my orphan stitchery box (which overflows) and turning some of my older designs into useful projects. "Create Memories" was one of the patterns from my 2016 block of the month "Gentle Domesticity" which I shared on the blog. I didn't offer any instructions for sewing them, or even thread colours, because each of the twelve blocks was made from scraps and as they were not part of any actual project I left it up to those who were stitching along to use them any way they liked. Anyhow, there's no rush on an answer but I do intend giving the blocks a pretty project as their final resting place sometime this year. 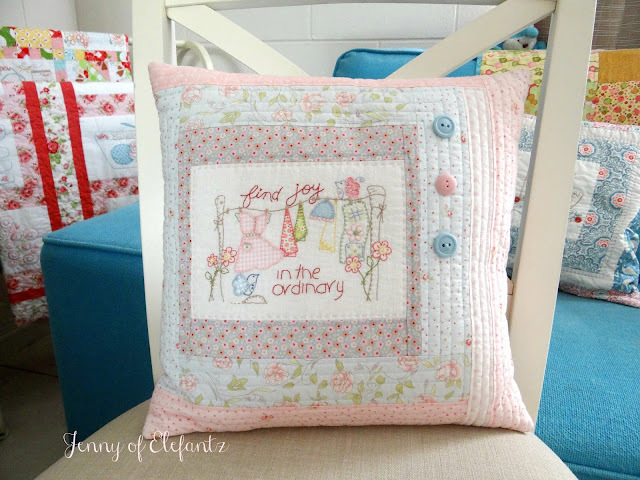 The pattern for Joy in the Ordinary is still free (always will be) and fortunately was one of the few patterns Craftsy/Bluprint chose to leave in my old shop. With Etsy there's no way to add a free pattern to my new shop so if you'd like to make this block go here and download it. The full set of 12 Gentle Domesticity blocks is over at Etsy. 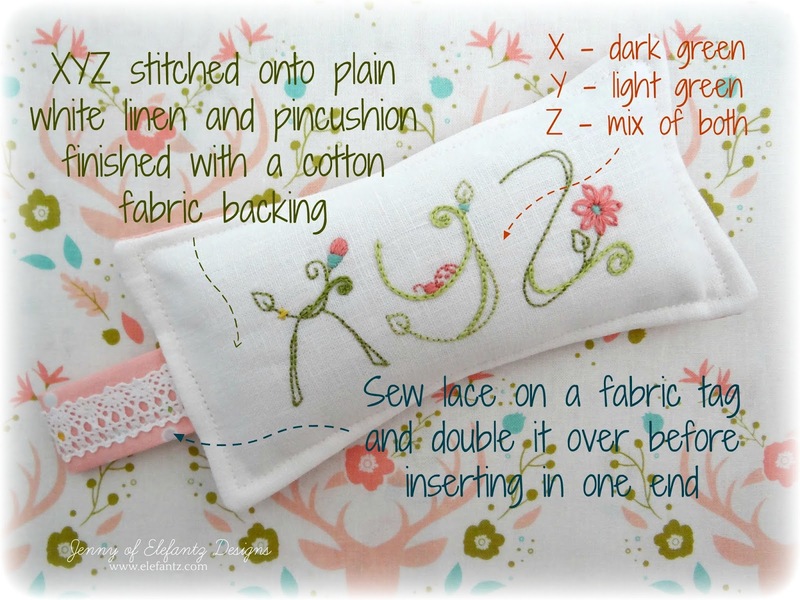 They are inexpensive because there's no written instructions just the pattern sheets to trace and photos for helps. Goodness, I've kept you a while today with my ramblings so I shall sign off with a blessing and my gratitude for visiting, following along and offering your own inspirations when you comment. Must say, I have gleaned so much from the Gentle Art of Domesticity book study comments since we began three weeks ago! Let me encourage you to go back and read through them...such a blessing. What a glorious post. Basically I dont know where to start... what colours in that blanket. You are doing such a good job!! It is divine. I love the sight of the yarn in the basket also. Pure happiness. 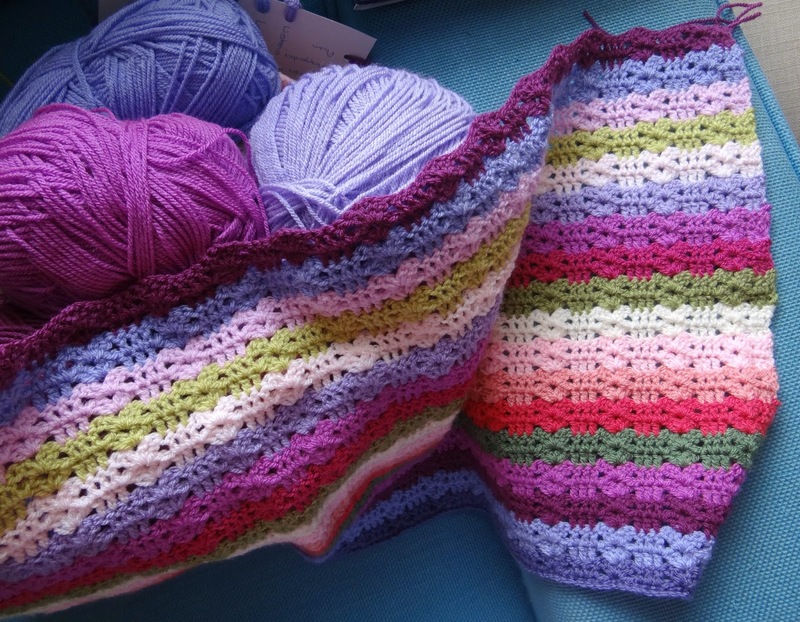 So I have gone nuts over attic24 and I am going to do this blanket too! That book... it looks just so stunning. I need to go over the study notes you mention. I am way behind but wanting to read them all. We had family moving this week plus a migraine plus a heatwave... so I feel a little like you do. hello Jenny. I hope you continue to feel better each day. Please, please take time for yourself ! I love reading your posts and adore your stitchery projects. OH the pincushion is utterly charming!!! Thank you dear heart for these, all of these, so precious, and so Jenny. Lovely gifts you've received from friends, that writing set from Fee is stunning. I was going to watch that show on Netflix, but saw an article about how she says to get rid of books that don't spark immediate joy when you hold them, she says not to read them because reading them can influence your mind - well, yeah, lol - and the author said they don't want to spark joy, they want to swim in wonder. They have books everywhere and that's the way I like it too. I'm already a neat freak, and am really good about getting rid of things and also keeping closets and drawers very tidy - so I took the show off my list. If you google crochet men's clothing, you should be able to find tons of pictures of patterns from the 70's - egads they were dreadful even then, and seem worse now! Mr. E might get a good laugh. Your afghan looks SO pretty! LOVE your cushion cover - I should go back through the things I've stitched and never made into a project too, we'll see. It would get them out of the drawer, lol. Get some rest, dear heart!!! You lucky girl! What a treasure trove of gifts you received from such talented people! I was in awe looking at them! I'm sure your friends feel the same when they receive your creations. If I haven't said so before, I'm in love with your style. It's so cheerful and in my eyes, takes me right back to my Gran's wonderful kitchen & home with all the embroidery. Had a little giggle about your husband and the crocheted clothes. My mom actually made us matching swim suits when I was 9. They were 2 piece and crocheted from acrylic yarn. Let me tell you that I LOVED that suit! It was so comfy, fitted just to me, & dried faster than any suit I've ever owned. Made it ideal for camp, parties, & such. After 5 minutes, I could put on clothes and I was completely dry! Not sure my dad would've appreciated crocheted swim trunks, though!! I saw a little blurb on the news that the Kondo craze is greatly affecting local thrift stores. Our locals said they are flooded with donations of the best quality they've ever seen. So, if you're looking for stuff, now is the time!! My husband was watching with me and commented that I've always folded and stored our clothes that way and how I should've written the book lol. Nah, I still have too many hoarding tendencies lol!! Well, Jenny, it sounds like some leisure time is in order. Maybe you'll get some cooler days and can enjoy that wonderful book with some iced tea on the patio. Rest & soul food! 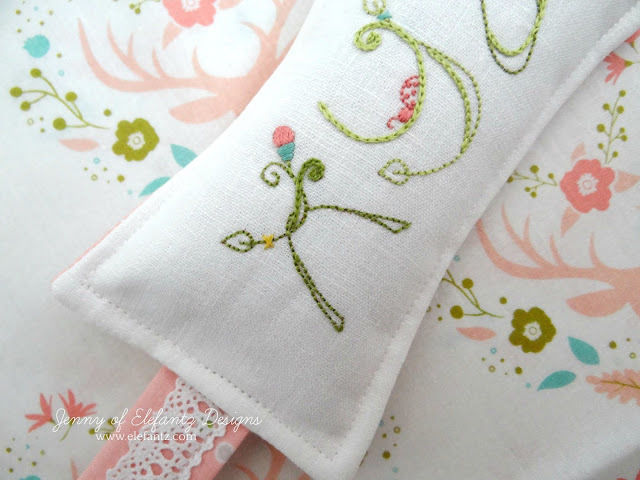 Thank you for such a wonderful post and the last pinnie. Your posts bring a smile to my heart. I hope that you have a blessed day. Your Sweet Pea blanket is looking nice. It will be more 'drapy' as it gets bigger. Pretty colors are such a joy to work with. Cheery. Crocheting is a relaxing hobby. I'm so sorry you feel so tired. It is draining to feel like that. I wished you felt better. I'm gonna pray for you. I know God can do for us what we need. And He gave you your own place now. I want you to fully enjoy His gift to you, and your husband. I believe that fatigue and sickness can go in Jesus' Name. God wants us well. You are a talented, gifted, woman. No reason you can't be a healthy one, too. Be well, Jenny. God bless. 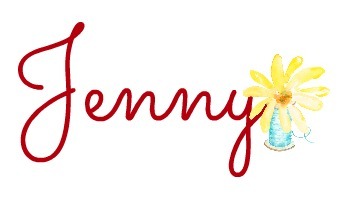 Hello Jenny, Your posts are always filled with delight. I enjoy each and every one and never go away without something new to think about. I am thrilled that you have figured out the correct crochet hook size and are enjoying it so much. 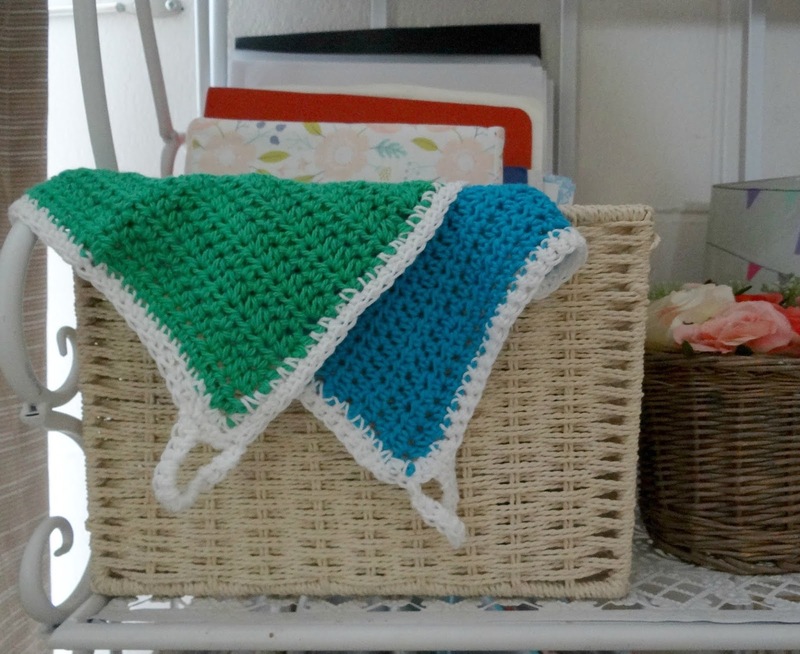 When I was able to crochet, it was a blessing and I enjoyed every stitch that I took. I always wished that my brain disability would be able to learn to follow a pattern for a sweater. Now due to arthritis, I can no longer crochet. Yet, the Lord led me to quilting and reopened my heart for hand embroidery and I am loving every stitch I take. I had to laugh at Mr. E because my husband would be saying the same thing! I hope that you have a marvelous day and continue to discover new ideas as your journey continues. Bless you! There's no shame in deciding to slow down and taking care of yourself! All will get done, in time, and when you are ready for it. Just seeing your emails arrive, seem to put a calmness over me! Thank you for all that you share, do and give to me. It seems that the weeks have flown by with our ABC's, and now the finale of XYZ! 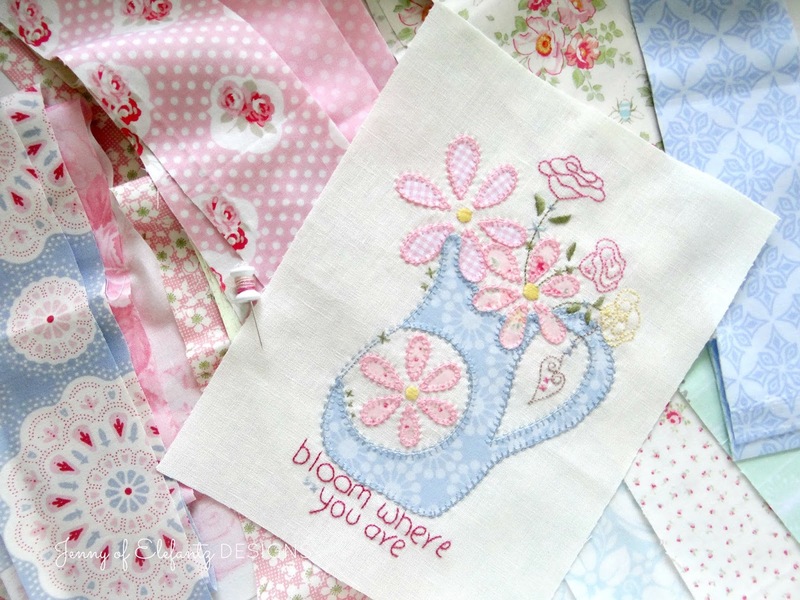 My set of your embroideries from last year and now complete, with Miss December finished off the other night. Now to decide on their join-up, and what fabric(s) to use. I am hoping that all I need will be waiting for me in my stash! Thank you for your whole alphabet of letters and pincushion ideas Jenny, they are safely stored until their time comes to be stitched. Here's to a wonderful 2019 for all. Que trabajos tan bellos Jenny, tienes unas manos de oro !!!!!!! los bordados son encantadores ,te felicito . I would like to say a big thank you for the lovely alphabet embroidery letters, they are amazing. 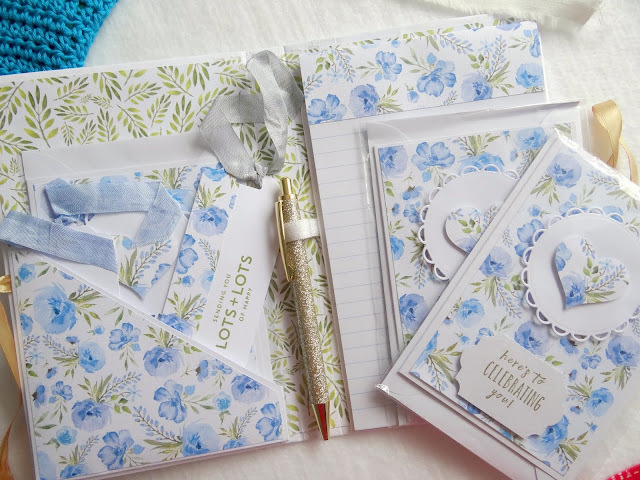 They make wonderful gifts to give your friends for special occasions that make the gift personal. 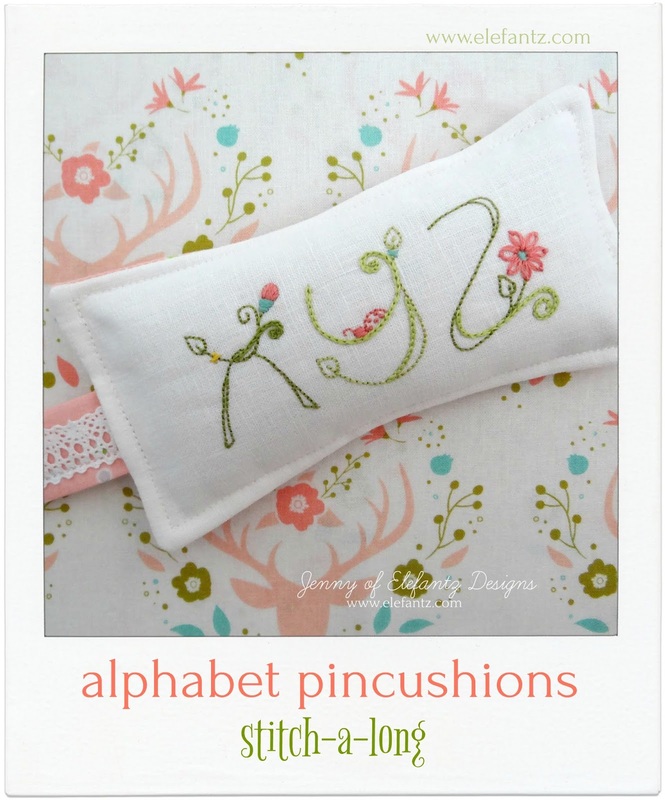 Thank you very much Jenny for the beautiful alphabet letters for pincushions. 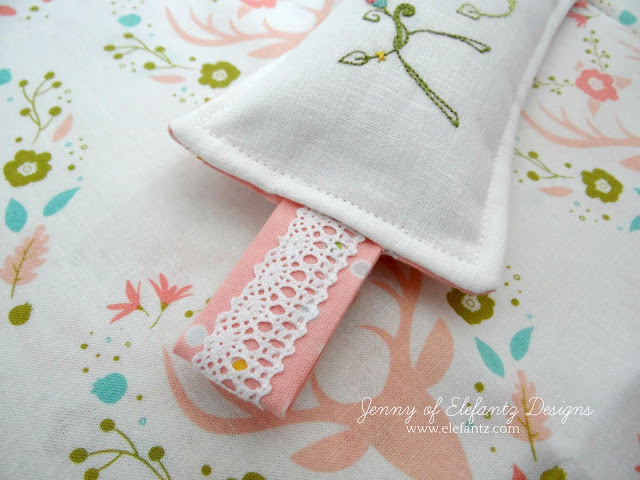 I'm making a "B" pincushion for 10yo Bethany, she has just started sewing her first jelly roll, it will take several weeks......but that's ok as its time we spend together. This might be my favorite of all the pincushions. There's something so appealing about that little ribbon bit on the side, and green IS my favorite color. =) Thank you so much, Jenny, for that, and for the peek at where your mind and heart are taking you these days. Thank you so much for this lovely alphabet.